Action for Social and Ecological Justice (ASEJ) - Advances and supports the struggle for liberation from global inequality, injustice and ecological destruction and create opportunities for dialogue and spaces for transformation toward a socially, ecologically and economically just world. African Biodiversity Network (ABN) - A regional network of individuals and organisations seeking African solutions to the ecological and socio-economic challenges that face the continent. Agency for Toxic Substances and Disease Registry (ATSDR) - Based in Atlanta, Georgia. A federal public health agency of the U.S. Department of Health and Human Services. ATSDR serves the public by using the best science, taking responsive public health actions, and providing trusted health information to prevent harmful exposures and diseases related to toxic substances. Alternatives - Action and communication network for international development. Alaska Department of Environmental Conservation - Environmental regulation, environmental protection, pollution, pollution control, air quality, water quality, solid waste, oil spills, TransAlaska pipeline, underground storage tanks, contaminated sites, cruise ship waste disposal. Alliance for a Healthy Tomorrow (AHT) - A citizen initiative in Massachusetts to establish new government policies to prevent harm to health from toxic hazards. Alliance for Nuclear Accountability - A network of more than 30 local, regional and national peace and environmental groups representing the concerns of communities in the shadows of the U.S. nuclear weapons sites and radioactive waste dumps. Amazon Alliance - Defends the rights, territories and environment of indigenous and traditional peoples of the Amazon Basin. Members are organizations of indigenous and traditional peoples of the Amazon Basin and environmental and support organizations sharing their mission. Amazon Watch - Works with indigenous and environmental organizations in the Amazon Basin to defend the environment and advance indigenous peoples' rights in the face of large-scale industrial development-oil & gas pipelines, power lines, roads, and other mega-projects. Amazonia/European Working Group on Amazonia (EWGA) - Coverage of issues relating to the Amazon region. American Field Guide - This PBS site collected over 1200 video clips to enable you to experience America's wilderness: animals, ecosystems (canyons, desert, forest, lakes and ponds, mountains, ocean and beach, prarie/grassland, rivers and streams, wetlands), human history, livlihoods, earth and space, plants, public policy (forestry, national parks, native species restoration, resource conservation, pollution cleanup, resource utilization, threatened and endangered species, wilderness protection), and recreation. Antiquities Act - The Antiquities Act of 1906, (Pub.L. 59–209, 34 Stat. 225, 54 U.S.C. § 320301–320303), is an act passed by the United States Congress and signed into law by Theodore Roosevelt on June 8, 1906. This law gives the President of the United States the authority to, by presidential proclamation, create national monuments from federal lands to protect significant natural, cultural, or scientific features. Also see Wikipedia. Appalachia: Science in the Public Interest (A-SPI) - Through sharing the results of its research, waste minimization, and low-cost environmentally sound technology, A-SPI seeks to reduce the growing dependence on outside fossil fuels and food. ARD, Inc. - An international consulting firm headquarted in Burlington, Vermont. ARD specializes in institutional development, agriculture, infrastructure, and natural resources and the environment work for international donor agencies and development banks. Audobon San Francisco Bay Restoration Program - Seeks to restore San Francisco Bay to ensure thriving fish and wildlife populations, clean water, and a high quality of life. Basel Action Network (BAN) - An international network of activists seeking to put an end to economically motivated toxic waste export and dumping - particularly hazardous waste exports from rich industrialized countries to poorer, less-industrialized countries. Bay Delta Conservation Plan (BDCP) - The BDCP is being prepared by a group of local water agencies, environmental and conservation organizations, state and federal agencies, and other interest groups. The plan would be implemented over the next 50 years. The heart of the BDCP is a long-term conservation strategy that sets forth actions needed for a healthy Delta. Bay Institute of San Francisco, The - Uses scientific research and political advocacy to work toward the environmental restoration of the watershed draining into San Francisco Bay. Beach Water Quality - Check the environmental quality of beach water in the U.S.
Bela Monte Dam - The Belo Monte Dam is a proposed hydroelectric dam complex on the Xingu River in the state of Pará, Brazil. The planned installed capacity of the dam complex would be 11,233 Megawatts (MW), which would make it the second-largest hydroelectric dam complex in Brazil, and the world's third-largest in installed capacity, behind Three Gorges Dam (China) and Itaipu Dam (Brazil-Paraguay). Electricity from the dams would presumably power the extraction and refinery of large mineral deposits in Pará, such as bauxite, the raw material for aluminum. However, there is opposition to the dams' construction regarding their impacts to the region's environment. See Amazon Watch and International Rivers. Bellona - Works on environmental and nuclear contamination issues worldwide. Biodiversity Action Network (BIONET) - NGO network on biodiversity issues. Biological diversity, or biodiversity, is the sum total of all life forms on Earth. It is the variety and variability of all species of plants, animals and microorganisms, as well as the ecosystems they comprise. The ecological services that biodiversity helps provide, such as water purification and oxygen production, serve and sustain our lives in countless ways. Also, biodiversity provides enormous direct and indirect economic benefits. In agriculture, disease- and pest-resistant crop varieties are continually derived from wild relatives of domestic crops. Nearly half the prescriptions worldwide are for medicines based on compounds extracted from wild plants, animals or micro-organisms. Major resource-based industries, such as fisheries and tourism, depend heavily on maintaining biodiversity. And local and indigenous communities throughout the world depend on maintaining biodiversity for their sustenance and traditional lifestyles. Bioneers - Disseminate environmental solutions to national and global audiences, including economic strategies for ecological agriculture, environmental restoration, and community self-reliance that conserve biological and cultural diversity, and strengthen traditional, indigenous and restorative farming practices. Blue Channel 24 - Specializes in environmental issues, ecology and conservation. Keep users updated on environmental events, ecology and conservation regionally, nationally and internationally through news reports treated with objectivity and impartiality. Blue Movement Directory - Listing of nearly 1200 marine grassroots organizations. Blue Planet Project - International effort begun by The Council of Canadians to protect the world's fresh water from the growing threats of trade and privatization. International network to protect water as a common resource and a basic human right. Bluewater Network - A national environmental organization aggressively confronting the root causes of climate change and fighting environmental damage from the shipping, oil, and motorized recreation industries. Bretton Woods Project - Works to scrutinise and influence the World Bank and IMF. Through briefings, reports and a bimonthly digest (the Bretton Woods Update) it monitors the projects, policy reforms and the overall management of the Bretton Woods institutions, with special emphasis on environmental and social concerns. Brighton Peace and Environment Centre - Seeks to raise awareness and understanding of social justice, peace, sustainable development and environmental protection matters by providing information, education and positive practical solutions to global problems. Brower, David - David Ross Brower (July 1, 1912 - November 5, 2000) was a prominent environmentalist and the founder of many environmental organizations, including the Sierra Club Foundation, the John Muir Institute for Environmental Studies, Friends of the Earth (1969), the League of Conservation Voters, Earth Island Institute (1982), North Cascades Conservation Council, and Fate of the Earth Conferences. From 1952 to 1969 he served as the first Executive Director of the Sierra Club, and served on its board three times: from 1941-1953; 1983-1988; and 1995-2000. Also see David Brower Center. Brownfields Cleanup and Redevelopment - With certain legal exclusions and additions, the term 'brownfield site' means real property, the expansion, redevelopment, or reuse of which may be complicated by the presence or potential presence of a hazardous substance, pollutant, or contaminant. This EPA Brownfields Initiative seeks to empower States, communities, and other stakeholders in economic development to work together to prevent, assess, safely clean up, and sustainably reuse brownfields. Bucket Brigade - The Bucket Brigade is named for a easy to use air sampling device housed inside a 5 gallon plastic bucket. The "Bucket" was developed in Northern California in 1995 by an environmental engineering firm in order to simplify and reduce the costs of widely accepted methods used for testing toxic gases in the air. The Bucket Brigade is a tool that dozens of communities are using to find out for themselves what chemicals are in the air. Bureau of Reclamation, Upper Colorado River - Encompasses almost all of Utah and New Mexico, the western portion of Colorado, northeastern Arizona, southwestern Wyoming, the far west corner of Texas, and small portions of Nevada and Idaho. Since its creation in 1902, Reclamation has constructed over 600 dams and reservoirs throughout the 17 Western states. The Upper Colorado Region is involved in a wide variety of issues, programs, partnerships, and activities that reflect the Reclamation's mission today as manager, developer, and protector of water and related resources. Many of these programs, including activities involving endangered species recovery, water conservation, adaptive management of Glen Canyon Dam operations, water reclamation and reuse, water use efficiency improvements, cultural resources, recreation rehabilitation, dam safety, water quality, resource management planning, hazardous waste remediation, and wetlands enhancement/mitigation are highlighted in this web site. Bush Record on the Environment - From the Natural Resources Defense Council. The Bush administration, in catering to industries that put America's health and natural heritage at risk, threatens to do more damage to our environmental protections than any other in U.S. history. Here is NRDC's account of what the Bush administration has done and is doing on environmental matters. California Air Resources Board - Sets and enforces emission standards for motor vehicles, fuels, and consumer products. Sets health-based air quality standards. Conducts research. Monitors air quality. Identifies and sets control measures for toxic air contaminants. Provides compliance assistance for businesses. Produces education and outreach programs and materials. Oversees and assists local air quality districts which regulate most non-vehicular sources of air pollution. California Coastal Commission - Primary mission entails planning for and regulating land and water uses in California's coastal zone consistent with the policies of the Coastal Act. California Division of Drinking Water and Environmental Management (DDWEM) - Regulation and monitoring of public water systems, wastewater reclamation projects, disposal of low level radioactive waste, shellfish production and harvesting operations, and medical waste generators. Part of the California Department of Public Health. California Coastal Conservancy - State resource agency using entrepreneurial techniques to purchase, protect, restore, and enhance coastal resources, and to provide access to the shore. California Environmental Quality Act (CEQA) - A California law (California Public Resources Code section 21000 et seq.) passed in 1970, shortly after the Federal Government passed the National Environmental Policy Act. CEQA does not directly regulate land uses, but instead requires development projects submit documentation of their potential environmental impact. California Office of Environmental Health Hazard Assessment (OEHHA) - Mission is to protect and enhance public health and the environment by scientific evaluation of risks posed by hazardous substances. California Wild Heritage Campaign - Works to preserve California's unprotected wilderness and wild rivers. California Wilderness Coalition (CWC) - Through advocacy and public education, CWC builds support for threatened wild places, from oak woodlands to ancient forests and deserts, coordinating its efforts with community leaders, businesspeople, decision-makers, local organizations, policy-makers, and activists. CALPIRG - Working for clean energy to save California coasts, stop the dumping of toxic chemicals into our air, water and on our land, save the wetlands, protect consumers from fraud, privacy violations, unfair fees and unsafe products, promote government accountability to ordinry citizens, and for a sensible health care system. Capitol Reports: Environmental News Link - Environmental policy reporting. Carfree Cities - Carfree cities past, present, and future. Presents solutions to the problem of the urban automobile. CEC Council - An international organization created by Canada, Mexico and the United States under the North American Agreement on Environmental Cooperation (NAAEC). The CEC was established to address regional environmental concerns, help prevent potential trade and environmental conflicts, and to promote the effective enforcement of environmental law. CEE Bankwatch Network - One of the strongest networks of environmental NGOs in Central and Eastern Europe. The basic aim of the network is to monitor activities of International Financial Institutions (IFIs) in the region, to propose constructive alternatives to their policies and projects in the region, to prevent environmentally and socially harmful impacts of international development finance, and to promote alternative solutions and public participation. Center for Biological Diversity - Protecting biodiversity through science, policy, education, and environmental law. Center for Health and the Global Environment - Founded in 1996 at Harvard Medical School to expand environmental education at medical schools and to further investigate and promote awareness of the human health consequences of global environmental change. By focusing on health, the center is able to reach people in concrete, personal terms they can relate to and understand, and to make the strongest possilbe case that human beings are an intimate part of the environment and that we cannot damage it without damaging ourselves. Center for Health, Environment and Justice (CHJE) - CHEJ believes in environmental justice, the principle that people have the right to a clean and healthy environment regardless of their race or economic standing. Organizing and community empowerment continue to be at the core of the organization's mission. CHEJ was founded by Lois Gibbs, a community leader at Love Canal. Center for International Environmental Law (CIEL) - Environmental law firm founded to strengthen international and comparative environmental law and policy around the world. Corporate accountability and tort reform, including federal preemption of state tort laws. Center for Progressive Regulation (CPR) - A nonprofit research and educational organization of university-affiliated academics with expertise in the legal, economic, and scientific issues related to regulation of health, safety, and the environment. Center for Public Environmental Oversight (CPEO) - Promotes and facilitates public participation in the oversight of environmental activities at federal facilities, private Superfund sites, and Brownfields. CERCLA Overview - The Comprehensive Environmental Response, Compensation, and Liability Act (CERCLA), commonly known as Superfund, was enacted by Congress on December 11, 1980. This law created a tax on the chemical and petroleum industries and provided broad Federal authority to respond directly to releases or threatened releases of hazardous substances that may endanger public health or the environment. Over five years, $1.6 billion was collected and the tax went to a trust fund for cleaning up abandoned or uncontrolled hazardous waste sites. CERCLA Priority List of Hazardous Substances - The Comprehensive Environmental Response, Compensation, and Liability Act (CERCLA) section 104 (i), as amended by the Superfund Amendments and Reauthorization Act (SARA), requires ATSDR and the EPA to prepare a list, in order of priority, of substances that are most commonly found at facilities on the National Priorities List (NPL) and which are determined to pose the most significant potential threat to human health due to their known or suspected toxicity and potential for human exposure at these NPL sites. CERCLA also requires this list to be revised periodically to reflect additional information on hazardous substances. This CERCLA priority list is revised and published on a 2-year basis, with a yearly informal review and revision. Each substance on the CERCLA Priority List of Hazardous Substances is a candidate to become the subject of a toxicological profile prepared by ATSDR and subsequently a candidate for the identification of priority data needs. Chemviron Carbon - A leading international manufacturer of activated carbons, purification systems and associated services. Over 150 different types of activated carbon are available for applications including potable water, wastewater, sweetener, pharmaceutical, air and gas purification. ChevronToxico - While drilling in the Ecuadorian Amazon from 1964 to 1990, Texaco - which merged with Chevron in 2001 - deliberately dumped more than 18 billion gallons of toxic wastewater, spilled roughly 17 million gallons of crude oil, and left hazardous waste in hundreds of open pits dug out of the forest floor. To save money, Texaco chose to use environmental practices that were obsolete, did not meet industry standards, and were illegal in Ecuador and the United States. Campaign for justice in Ecuador. Today, Chevron is a corporate criminal on the run. It has been found guilty by Ecuadorian courts and ordered to pay $19 billion. The company is now running from an international legal dragnet to force the company to pay for the vast task of cleanup and remediation of the Ecuadorian Amazon jungle. The Ecuadorians have filed lawsuits in Canada and Brazil to seek seizure of Chevron's assets for this purpose, and more lawsuits in other nations are expected. Child Proofing Our Communities - Working on behalf of children's health and access to safe public schools. Chinese Academy for Environmental Planning (CAEP) - Provides technical support and services such as environmental planning, environmental policy, and consultation on environmental project selection management for the Chinese government and corporations. Since its foundation, CAEP has undertaken about 50 national key research and planning projects, 30 river basin or regional level planning projects, 20 international cooperation projects from the UN, EU, OECD, ADB, and other countries. CAEP has provided a great deal of scientific and technical support for Chinese governmental authorities to aid their decision making. Chivian, Eric (Wikipedia) - Founder and Director of the Center for Health and the Global Environment (CHGE) at Harvard Medical School, where he is also an assistant clinical professor of psychiatry. Dr. Chivian is recognized as a leading proponent of efforts to create a greater awareness amongst policy makers and the public of the importance of biodiversity to human health, an issue on which he has contributed several book chapters, and published many scientific papers, literature reviews, and editorials. Citizen's Alliance for a Sustainable Environment (CAUSE) - Umbrella organization committed to a sustainable future for the Townships of Mono, Mulmur and Melancthon, just over 100 km north of Toronto. United to shield these communities from massive industrial limestone extraction and processing operations. Citizens for Safe Water Around Badger (CSWAB) - CSWAB was organized in 1990 when the community learned private drinking water wells near Wisconsin's Badger Army Ammunition Plant were polluted with high levels of cancer causing chemicals. The founders believed community involvement could have prevented this tragedy and consequently organized CSWAB both to empower and to protect nearby residents and plant workers from further harm. CL:AIRE - Provides a link between the main players in contaminated land remediation in the UK, to catalyse the development of cost-effective methods of investigating and remediating contaminated land in a sustainable way. Clean Air Council - Works through public education, community advocacy, and government oversight to ensure enforcement of environmental laws. Clean Air London - Cross-party campaign to achieve urgently and sustainably compliance with World Health Organisation guidelines for air quality throughout London. Clean Development Mechanism (CDM) - The CDM allows emission-reduction projects in developing countries to earn certified emission reduction (CER) credits, each equivalent to one tonne of CO2. These CERs can be traded and sold, and used by industrialized countries to a meet a part of their emission reduction targets under the Kyoto Protocol. he mechanism stimulates sustainable development and emission reductions, while giving industrialized countries some flexibility in how they meet their emission reduction limitation targets. The CDM is the main source of income for the UNFCCC Adaptation Fund, which was established to finance adaptation projects and programmes in developing country Parties to the Kyoto Protocol that are particularly vulnerable to the adverse effects of climate change. The Adaptation Fund is financed by a 2% levy on CERs issued by the CDM. Clean Water Act Trends Map and Annual Noncompliance Report - This interactive site provides basic information about Clean Water Act direct dischargers, such as: number of permits issued, how frequently sampling data is reviewed to determine if violations occurred, frequency of violations, and frequency of formal enforcement actions. Provided by EPA. Climate Group - Mission is to catalyze business and government leadership on climate change in order to put the world on track for a low carbon economy. Coalizão Rios Vivos/Rio Vivos Coalition - A coalition of more than three hundred non-governmental organizations and traditional and indigenous communities working on issues related to Prata River Basin, the Amazonian Basin and other megaprojects such as: the Yacaretá and Porto Primavera Dams; the Araguaia-Tocantins Waterway in the Amazonian Basin and the Bolivia-Brazil pipeline. Collaborative on Health and the Environment - Working to further knowledge, action and cooperation regarding environmental contributors to disease and other health problems. Read about the latest scientific evidence on links between diseases, disorders and disabilities and possible environmental causes. Community Environmental Legal Defense Fund (CELDF) - Formed to provide free and affordable legal services to grassroots, community-based groups and local governments working to protect their quality of life and natural environment through building sustainable communities. Competitive Enterprise Institute (CEI) - Environmental think tank, recognized as a leading voice in the U.S. on a broad range of regulatory issues ranging from environmental laws to antitrust policy to regulatory risk. Consulting in the Public Interest (CiP) - Provides scientific advice and expertise in the biological and physical sciences for not-for-profits, university research groups, governments, citizen groups, plaintiffs' attorneys, and green businesses. CIPI advises the National Audubon Society on forest habitat research. It has advised Columbia University and Mount Sinai Medical School on chemical exposures related to breast cancer. CIPI staff have set up numerous research and other partnerships between businesses and environmentalists, particularly those dealing with sustainability and biodiversity. Consumers Union Guide to Environmental Eco-labels - Learn about products that are eco-labeled compared to those that are conventionally farmed or produced, keep track of labels recently added, compare labels quickly with a shorthand report card and print easily to use while shopping. Convention on Biological Diversity (CBD) - This pact, adopted by the vast majority of the world's governments at the 1992 Earth Summit in Rio de Janeiro, sets out commitments for maintaining the world's ecological underpinnings as it goes about the business of economic development. The Convention establishes three main goals: the conservation of biological diversity, the sustainable use of its components, and the fair and equitable sharing of the benefits from the use of genetic resources. Council on Environmental Quality - Coordinates federal environmental efforts and works closely with agencies and other White House offices in the development of environmental policies and initiatives. CQS Health and Environment - Information about health, fitness, and the environment. Credible Forest Certification - Choosing products from forests certified by the independent Forest Stewardship Council (FSC) can be an important part of using wood and paper more sustainably. FSC certification is your assurance that wood and paper products come from forests that meet strict environmental and social standards. Cronan, William - Cronon studies American environmental history and the history of the American West. His research seeks to understand the history of human interactions with the natural world: how we depend on the ecosystems around us to sustain our material lives, how we modify the landscapes in which we live and work, and how our ideas of nature shape our relationships with the world around us. DeadForest - Documenting the timber industry in Mendocino County, which is actively creating intentional dead standing trees at a rate of approximately one million trees per year. Up to date research indicates enhanced fire behavior from this radical practice. The dead trees also pose a risk to firefighters in the form of widow makers. In the fourth year of a severe drought, industry has not self regulated to protect the citizens or firefighters. Defenders of Wildlife - Dedicated to the protection of native wild animals and plants in their natural communities. Defending Water for Life in Maine - A campaign co-ordinated by Emily Posner, who lives on a small, diversified organic farm in Montville, Maine: "Our water is a treasure to be protected as a commons held in the public trust not a commodity sold in the global marketplace to the highest bidder." Defense Environmental Programs (DEP) Annual Report - Describes the Department of Defense's environmental accomplishments during the past fiscal year. This report fulfills congressional reporting requirements under title 10 United States Code (U.S.C.) section 2706 (a) and (b), and other federal laws. The Defense environmental programs - Natural and Cultural Resources, Compliance, Pollution Prevention and Restoration - provide the framework for managing the environmental and cultural resources across the Department, while protecting human health and the environment. Denmark: Green Living - Official Denmark government website: "Creating a green and sustainable society is one of the key goals for Denmark. More than 20 per cent of Denmark's energy already comes from renewable energy, and the goal is to reach 100 per cent by 2050. Much of the renewable energy comes from wind turbines, where Denmark is a world leader when it comes to developing new technology." Department for Environment, Food and Rural Affairs (DEFRA) [UK] - Working in UK for security of essentials of life - water, food, air, land, people, animals and plants. Do or Die - An annual journal crammed with reports and analysis from the world-wide ecological frontlines. These are the voices not of outsiders, journalists or academics, but of those involved in the struggles themselves. Do the Math - In November, 2012, Bill McKibben and 350.org are hitting the road to build the movement that will change the terrifying math of the climate crisis. Each event will be a unique and interactive experience, unlike any talk you've been to before. It will pick up where Bill McKibben's landmark Rolling Stone article left off - and everyone who comes will be asked to join a growing movement that is strong enough to stand up to the fossil fuel industry. Dogwood Initiative - Helps British Columbia's communities and First Nations gain more control of the land and resources around them so they can be managed in a way that does not rob future generations for short-term corporate gain. Drinking Water Inspectorate (UK) - DWI is responsible for assessing the quality of drinking water in England and Wales, taking enforcement action if standards are not being met, and appropriate action when water is unfit for human consumption. E.F. Schumacher Society - The Society initiates practical measures that lead to community revitalization and further the transition toward an economically and ecologically sustainable society. Earth 911 - Empowers the Earth's citizenry with community-specific "actionable" environmental information for you to use in everyday life for the purpose of living responsibly by contributing to the solution of sustainability. Earth Charter Initiative, The - A declaration of fundamental principles for building a just, sustainable, and peaceful global society for the 21st century. Created by the largest global consultation process ever associated with an international declaration, endorsed by thousands of organizations representing millions of people, the Earth Charter seeks to inspire a sense of global interdependence and shared responsibility for the well-being of the human family and the living world. Earth Day Network - The nonprofit coordinating body of worldwide Earth Day activities. EarthAction - EarthAction is building a global action alert network that can mobilize people simultaneously around the planet to speak out for a better world. Earth Island Institute (EII) - Supports projects for the conservation, preservation, and restoration of the global environment. To inflict economic damage on those profiting from the destruction and exploitation of the natural environment. To reveal and educate the public on the atrocities committed against the earth and all species that populate it. Earthjustice - Nonprofit law firm for the environment, representing - without charge - hundreds of public interest clients, large and small. Earthjustice works through the courts to safeguard public lands, national forests, parks, and wilderness areas; to reduce air and water pollution; to prevent toxic contamination; to preserve endangered species and wildlife habitat; and to achieve environmental justice. EarthRights International (ERI) - Activists, organizers, and lawyers with expertise in human rights, the environment, and corporate and government accountability. ERI combines the power of law and the power of people in defense of human rights and the environment, our earth rights. Ecology Center - Berkeley - Information about household products, ecologically-sensitive methods of living, and large toxic threats to society and alternatives to those threats. EcoHealth Alliance - An international organization of scientists dedicated to the conservation of biodiversity. EcoHealth Alliance's work spans the U.S. and more than 20 countries in Central and South America, the Caribbean, Africa and Asia to research ways for people and wildlife to share bioscapes for their mutual survival. Internationally, its programs support conservationists in over a dozen countries at the local level to save endangered species and their habitats and to protect delicate ecosystems for the benefit of wildlife and humans. EcoWorld - Information and answers about Earth's energy & food supply, species, ecosystems and projects to preserve them, also a guide to earth-friendly products & services, tours and green investing. Electronic Waste Guide - A knowledge base on e-waste recycling. Emission Strategies - Provides companies with an integrated approach to strategically managing emissions of GHGs, NOx, and SO2. Ende Gelände - A broad alliance of people from the anti-nuclear and anti-coal movements, the Rhineland and Lausitz climate camps and the Hambacher Forest anti-coal campaign using civil disobedience as a powerful signal for real action to put our climate before profit. Energy Saving Trust - A non-profit organisation that promotes energy saving, funded by government and the private sector. Enforcement and Compliance History Online (ECHO) - EPA site allowing you to determine whether EPA or State/local governments have conducted compliance inspections; violations were detected; or enforcement actions were taken and penalties were assessed in response to environmental law violations. After performing your search, you will receive summary data about each facility meeting your search criteria. From this list of facilities, click to access EPA's Detailed Facility Report to find out more. Environment Agency - The leading public body for protecting and improving the environment in England and Wales. EnviroLink Network - Environmental news. Environment Agency - Leading public body for protecting and improving the environment in England and Wales. Environment and Conservation Activism - Resources, links, environmental alerts for activists. Environment and Energy Daily - Timely, accurate, objective information on environmental and energy policy action in the United States. Environment and Trade Handbook - This handbook, a joint effort of the International Institute for Sustainable Development and the United Nations Environment Programme, help us understand how trade can affect the environment, for better and for worse, and how environmental concern can work through the trading system to foster or frustrate development in both rich and poor countries. Environment California - Focuses exclusively on protecting California's air, water and open spaces. Independent research and tough-minded advocacy. Environmental Data Interactive Exchange (EDIE) - Interactive news, information and communications service for water, waste and environmental professionals around the world. Environmental Defence - Canadian environmental action organization. Environmental Defense Fund (EDF) - Main goals include: (1) stabilizing the earth's climate, (2) safeguarding the world's oceans, (3) protecting human health (4) defending and restoring biodiversity. Environmental Expert - An independent business publisher maintaining a web-based information center for environmental professionals and businesses world-wide. Environmental Health Investigations Branch: Fish Related Topics - Information on mercury and safety guidelines for eating fish. Environmental Health Perspectives (EHP) - A peer-reviewed open access journal dedicated to the effect of the environment on human health. Environmental Integrity Project (EIP) - Works to ensure that environmental laws designed to protect the public are actually enforced, so that pollution is held at bay and law-abiding businesses can compete on a level playing field. EIP's environmental lawyers team up with technical experts (who guide data collection, environmental sampling, and analysis) and media consultants to target some of the worst sources of pollution, especially those that contribute to global warming. EIP also partners with small grassroots organizations in communities nationwide, as well as national environmental groups like Sierra Club and Earthjustice. Environmental Investigation Agency (EIA) - Undercover investigations are at the heart of EIA's work, going out to the frontlines of environmental crime and returning with the credible intelligence and persuasive imagery necessary to confirm the findings of its preliminary research and tip-offs in the field. Environmental Justice Links - Directory of organizations provided by the School of Natural Resources & Environment, The University of Michigan. Environmental Markets Association (EMA) - A leading US-based trade association focused on promoting market-based solutions for environmental challenges through sound public policy, industry best practices, effective education and training, and member networking. Environmental Media Services (EMS) - A nonprofit communications clearinghouse dedicated to expanding media coverage of critical environmental and public health issues. EMS regularly brings together experts from academic, government, business, science, medical and public interest communities for extended briefings with journalists on controversial and/or emerging environmental and public health issues. Environmental News - Environmental news from Capitol Reports. Environmental News Network - Environmental news on the Internet. Environmental Peacebuilding - Integrates natural resource management in conflict prevention, mitigation, resolution, and recovery to build resilience in communities affected by conflict. Environmental Protection Agency (EPA) - Leads environmental science, research, education and assessment efforts in the U.S. Headquarters offices in Washington, D.C., 10 regional offices, and more than a dozen labs. Environmental Protection Agency Docket Center - EPA dockets provide the public with access to agency information in a wide variety of rulemaking and non-rulemaking areas. Dockets serve as a source of current and historical information on agency activities , including comments received from to public to inform agency decisions. Environment Protection Agency Enforcement and Compliance History Online (ECHO) - This Web site allows you to search for facilities in your community for the purpose of determining whether: 1) EPA or State/local governments have conducted compliance inspections; 2) violations were detected; or 3) enforcement actions were taken and penalties were assessed in response to environmental law violations. Environmental Protection Agency Council for Regulatory Environmental Modeling (CREM) - Established in 2000 to promote consistency and consensus among environmental model developers and users. The CREM council consists of senior managers from across the Agency, while CREM workgroup members consist of modelers and scientists from the program offices and regions. Environmental Protection Agency (EPA-USA): Laws and Regulations - Clean Air Act, Toxic Substances Control Act, Clean Water Act, Treaties & Agreements, Statutes, Executive Orders, Regulations. Environmental Protection Agency Office of Water Homepage - Drinking water & ground water, wetlands, oceans & watersheds, wastewater management. Environmental Protection Information Center (EPIC) - Working to protect endangered species and forest ecosystems on California's North Coast. Environmental Protection UK - Seeking changes in policy and practice to minimise air, noise and land pollution, bringing together stakeholders to inform debate and influence decision making. Evironmental Transport Association (ETA) - UK organization campaigning for environmentally sound transport. Environmental Treaties and Resource Indicators (ENTRI) - Search service for environmental treaties and national resource indicators. Environmental Working Group (EWG) - Environmental research organization dedicated to improving public health and protecting the environment by reducing pollution in air, water and food. EPA Region 9: Pacific Southwest - EPA's Region 9 office works to protect public health and the environment in the southwestern United States (Arizona, California, Nevada, and Hawaii). EPA Region 9 also works with 147 federally recognized tribes in the Pacific Southwest. EPA Superfund - Environmental Protection Agency official site. EPA Superfund List - State-by-state lists extracted from the U.S. EPA Superfund lists. From CQS. ETC Group - Addresses the socioeconomic and ecological issues surrounding new technologies that could have an impact on the world's poorest and most vulnerable. Investigates ecological erosion (including the erosion of cultures and human rights); the development of new technologies (especially agricultural but also new technologies that work with genomics and matter); and monitors global governance issues including corporate concentration and trade in technologies. Works closely with partner civil society organizations (CSOs) and social movements, especially in Africa, Asia and Latin America. European Environment Agency (EEA) - The aim of the EEA is to establish a seamless environmental information system. This is done to assist the Community in its attempts to improve the environment and move towards sustainability, including the EU's efforts to integrate environmental aspects into economic policies. Exxon Valdez Oil Spill Trustee Council - Formed to oversee restoration of the injured ecosystem through the use of the $900 million civil settlement. The Trustee Council consists of three state and three federal trustees (or their designees). A Public Advisory Committee meets two or three times annually and advises the Trustee Council on decisions relating to allocation of funds, conduct of injury assessment, and conduct of restoration activities related to the Exxon Valdez oil spill, including the Gulf Ecosystem Monitoring Research (GEM) program. Federal Facilities Restoration and Reuse Office (FERRO) - EPA site providing news, events, and programs related to federal facility cleanup activities around the U.S. Fish Contamination Education Collaborative (FCEC) - Working to protect the most vulnerable populations in Southern California from the health risks of consuming DDT- and PCB-contaminated fish off the Palos Verdes Shelf Superfund site, one of the largest contaminated sediment sites in the nation. EPA: Flint Drinking Water Documents - Compilation of EPA documents related to Flint drinking water. Flint Water Documents - 5,155 pages of EPA email and other internal documents about the Flint water crisis. Released by the EPA due to a Freedom of Information Act request. Placed here by The Memory Hole 2. Forest Conservation Portal - Rainforest, forest, and biodiversity conservation news andn information. ForestsNow - Declaration signed by many organizations and individuals supporting conservation of vital forest ecosystems. Fossil Free - Wants institutions to immediately freeze any new investment in fossil fuel companies, and divest from direct ownership and any commingled funds that include fossil fuel public equities and corporate bonds within 5 years. 200 publicly-traded companies hold the vast majority of listed coal, oil and gas reserves. Those are the companies Fossil Free isasking institutions to divest from. Friends of the Earth - International environmental network with affiliates in 63 countries. Friends of the Earth: Amazonia - Makes information on the Amazon region available to the public, with the aim of helping to make clear the structure of public and private agencies, both Brazilian and foreign, that are active in the region. Friends of the River Narmada - The construction of large dams on the River Narmada in central India and its impact on millions of people living in the river valley has become one of the most important social issues in contemporary India. This site presents the perspective of grassroots people's organisations on the issue. Fund for Wild Nature - Invests in grassroots organizations and conservation efforts that meet emerging needs for protecting biodiversity and wilderness. Gaia Foundation, The - Committed to cultural and biological diversity, and a living Earth democracy. Through a network of Associates, advisors and partner organisations, Gaia works at all levels; from the grassroots with peasant farmers and indigenous communities, through to the regional and international level with policy-makers and governments. Global Exchange - A human rights organization dedicated to promoting environmental, political, and social justice around the world. Gaia Trust - A charitable entity supporting sustainabilty projects, especially the ecovillage movement. Global Footprint Network - Dedicated to advancing the scientific rigor and practical application of the Ecological Footprint, a tool that quantifies human demand on nature, and nature's capacity to meet these demands. Global Programme of Action - Working for the protection of the marine environment from land-based activities. Global Resource Action Center for the Environment (GRACE): Environment and Public Health - Works with universities, UN Agencies, experts, and activist groups to expand public awareness of environmental contamination and its effect on public health and for programs which promote the sustainable use of renewable resources. Global Subsidies Initiative - A project designed to put the spotlight on subsidies and the corrosive effects they can have on environmental quality, economic development and governance. Global Water Fund - A global water consultancy that provides solutions to government and business with regard to the growing global water crisis. The Global Water Fund facilitates partnerships between senior government officials and the business community in order to achieve commitments and action towards vital water resources. Globelaw - Serving the international law, environmental law, and transnational litigation communities. Goldman Environmental Prize - International prize program for grassroots environmental activists. Grand Canyon Trust - Working since 1985 to protect the air, water, and wildlife of its slickrock canyons, fragile deserts, and forested mesas. Great Lakes Restoration Initiative - Launched in 2010 to accelerate efforts to protect and restore the largest system of fresh surface water in the world, the Great Lakes. Green America - Developing people-powered economic strategies to address the most pressing social and environmental issues of our times. Green Collar Community, The - Advancing green jobs and resilient communities through cooperative enterprise. Green for All - Working for a national effort to curb global warming and oil dependence that can simultaneously create good jobs, safer streets and healthier communities. Green Solutions - A portal providing green advice and links to consumers. Hopefully it will enable you to make more informed decisions about the way you live your life and provide you with the information you need to contribute to a greener world. Greenhouse Gas Protocol (GHG Protocol) - The most widely used international accounting tool for government and business leaders to understand, quantify, and manage greenhouse gas emissions. The GHG Protocol Initiative, a decade-long partnership between the World Resources Institute and the World Business Council for Sustainable Development, is working with businesses, governments, and environmental groups around the world to build a new generation of credible and effective programs for tackling climate change. GreenNet - A progressive community working for peace, the environment, gender equality and social justice through the use of Information Communication Technologies (ICTs). 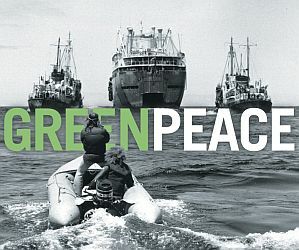 Greenpeace International - A global environmental campaigning organization. Working in areas of climate, toxics, nuclear, oceans, genetic engineering, ocean dumping, and forests. 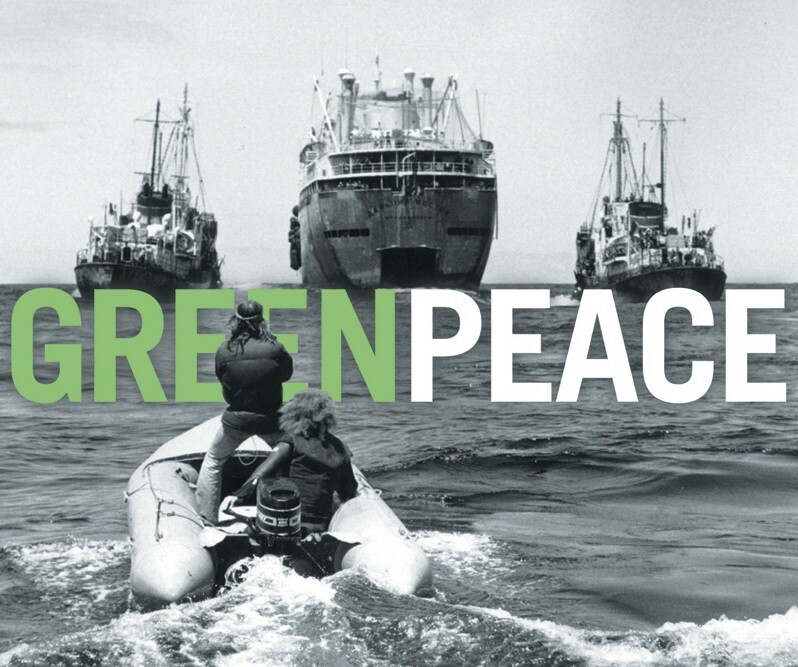 GreenScare - The term Green Scare refers to the federal government's expanding prosecution efforts against animal liberation and ecological activists, drawing parallels to the "Red Scares" of the 1910's and 1950s. It comprises the tactics that the US government and all their tentacles (FBI, IRS, BATF, Joint Terrorism Task Forces, local police, the court system) are using to attack the ELF/ALF (Earth Liberation Front and Animal Liberation Front) and those who publicly support them. Greenwashing - Every day, Americans are bombarded with advertising about environmentally friendly goods and services. But how many really are green, and how many are just pretending? Greenwire - Covers all of the major national, environmental and energy policy action, including the latest from the White House, federal agencies, states, courts and media. Greywater Action - A collaborative of educators who teach residents and tradespeople about affordable and simple household water systems that dramatically reduce water use and foster sustainable cultures of water. Also see Wikipedia's backgrounder on Greywater. groundwork (South Africa) - Seeks to improve the quality of life of vulnerable people in South Africa, and increasingly in Southern Africa, through assisting civil society to have a greater impact on environmental governance. Places particular emphasis on assisting vulnerable and previously disadvantaged people who are most affected by environmental injustices. Groundwork (UK) - Building sustainable communities in areas of need through joint environmental action. GreenWorks.tv - Hosts the largest collection of environmental video programming on the Web as well as interactive educational programming, environmental workshops, live webcasts and more. GreenWorks' mission is to spread one simple message: real people are making a difference to protect our environment. HealthLink - A grassroots citizen group dedicated to improving health by reducing or eliminating toxins and pollutants from the environment through research, education and community action. Indigenous Environmental Network (IEN) - An alliance of grassroots indigenous peoples whose mission is to protect the sacredness of Mother Earth from contamination and exploitation by strengthening maintaining and respecting the traditional teachings and the natural laws. Institute for Deep Ecology - Promotes ecological values and actions. Institute for Energy and Environmental Research (IEER) - Provides activists, policy-makers, journalists, and the public with understandable and accurate scientific and technical information on energy and environmental issues. International Corporate Environmental Reporting Site - International news, international developments, and other information on environmental and sustainability reporting. International Marinelife Alliance (IMA) - The IMA condemns destructive fishing practices, advocates environmental defense, popularize alternative livelihood for surplus fisherfolk, promotes "clean" harvesting technology, nurtures environmental activism, propagates environmental causes, supports environmental education, adheres to the principles of sustainable development and safeguards marine biodiversity. International Rivers Network (IRN) - IRN supports local communities working to protect their rivers and watersheds. Works to halt destructive river development projects and to encourage equitable and sustainable methods of meeting needs for water, energy and flood management. Campaigns and programs around the world include: Africa (Bujagali Falls, Epupa, Lesotho, Mphanda Nkuwa, Okavango), China (Three Gorges, Lancang River, Zipingpu), Latin America (Biobio, Chixoy, Hidrovia), South Asia (Narmada Valley), South East Asia (Bakun, Malaysia, Mekong Basin, San Roque, Vietnam), and more. International Corporate Sustainability Reporting - Portal for sustainability reports of multinational companies worldwide. International Whaling Commission (IWC) - The IWC was set up under the International Convention for the Regulation of Whaling which was signed in Washington D.C. on 2 December 1946. The purpose of the Convention is to provide for the proper conservation of whale stocks and thus make possible the orderly development of the whaling industry. Israel Union for Environmental Defense - With legal standing under a number of environmental laws to take civil and criminal action on the public's behalf, IUED pursues a vigorous agenda of strategically focused projects in four key areas: air pollution prevention, drinking water safety, solid waste management, and accessible open spaces. Izembek National Wildlife Refuge - The smallest ( 315,000 acres) and one of the most ecologically unique of Alaska's refuges. Established to conserve fish, wildlife, and habitats in their natural diversity including, waterfowl, shorebirds, other migratory birds, brown bears, and salmon; to fulfill treaty obligations to provide the opportunity for continued subsistence uses by local residents, consistent with the purposes previously mentioned; and to ensure necessary water quality and quantity. Also see Izembek National Wildlife Refuge Map. This webpage last updated on Thursday, November 9, 2017 2:25 PM.